Popularized by Jackson Pollock, Janet Sobel, Max Ernst, and other 20th century luminaries, the artform itself relies on action and motion. 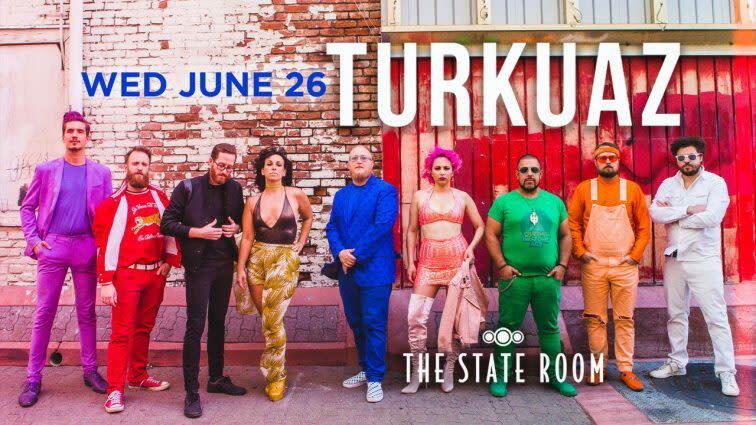 In similar fashion, energetic splashes of funk, alternative, rock, R&B, and psychedelia color the music ofæTurkuaz. 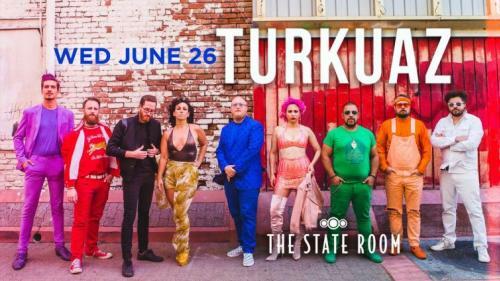 Balancing male-female harmonies, strutting guitars, wild horn arrangements, and interminable grooves, this spirit takes shape in the color donned by each respective member on stage nightly via larger-than-life performances.